According to buyer's different requirents , we design and make granulating machine . 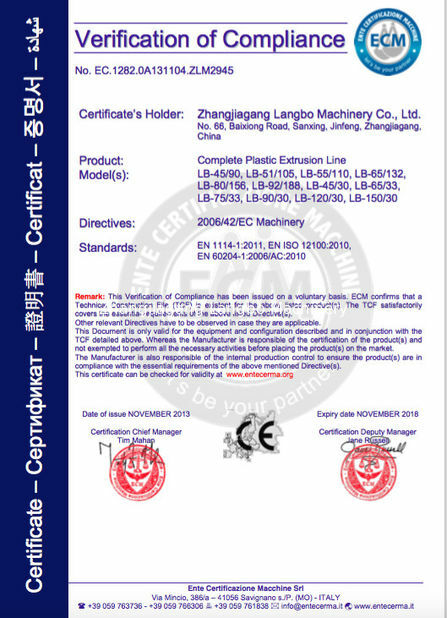 there are so many kinds of plastic materials , same machine's capacity also different. A. extruder. according to different material and processing need, we have single screw extruder, conical screw extruder , parallel twin screw extruder , double stage extruders. 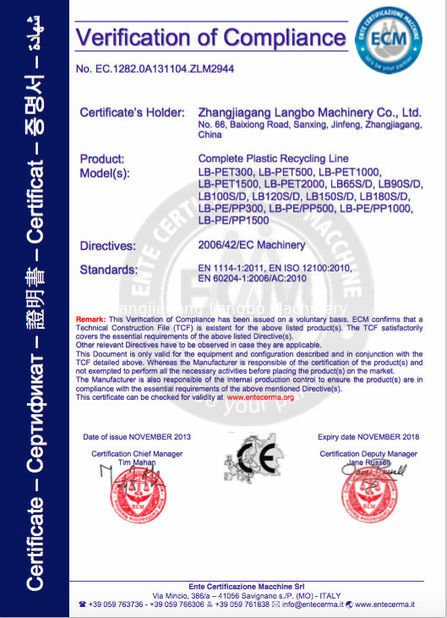 when we offer you the machine , we will make the proposal according to your materials and your capacity need. the followng is some introduction of the machines. 2. Almost all the machine can be removed and installed easily. Easy for maintance. 3. All the electric brands are all International famous brand. And have one year warranty. 4. Small line, for both production and lab. 5. Can test different materials. 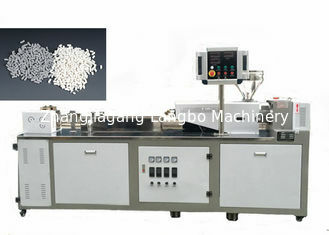 1 Single-screw extruder lab performance from 1 to 3 kg per hour. Should mix different polymers in different forms - powder, granules..
1.1 The drive unit and the control unit Drive and control unit must be mounted in a single cabinet. Derivation of the drive must be connected single screw extruder unit. The dimensions should be as follows: a width 520 mm; height is 520 mm; length of 520 mm. The maximum temperature 350 C.
The hopper material is stainless steel. jiangyin brand gearbox , zhoushan brand screw and barrel , jiangsu xindali brand motor ,ceramic heater ,40Cr steel mold ,304stainless steel water cooling tank , matched with force fan cooling , pelletizer blade is 9CrSi steel material , pellet cutting speed controlled by ABB inverter .